The team from Dunedin Housing Maintenance Contractors (DHMC) is scattered around a white wooden house in the west of the city. Today the outside of the property is getting a full makeover and fresh coat of paint. Among the team is Mohammad Ali, a former refugee from Palestine. He’s been working with DHMC for around five months, a job he found with help from the Red Cross Pathways to Employment programme. It was Mohammad’s enthusiasm toward work that made him stand out and, in the one-and-a-half years he’s been in New Zealand, he’s already had three jobs. The first two were short-term contracts to build up his experience in his new country, but DHMC isn’t keen to let him go any time soon. Working with Pathways to Employment seemed like a natural fit for the company and, although Mohammad is the first person employed through the programme, Gerry sees a lot of potential job openings for former refugees in the future. “Mohammad has been really good for us as a company and we’d look to [Pathways to Employment] in the future if we needed more staff,” he says. 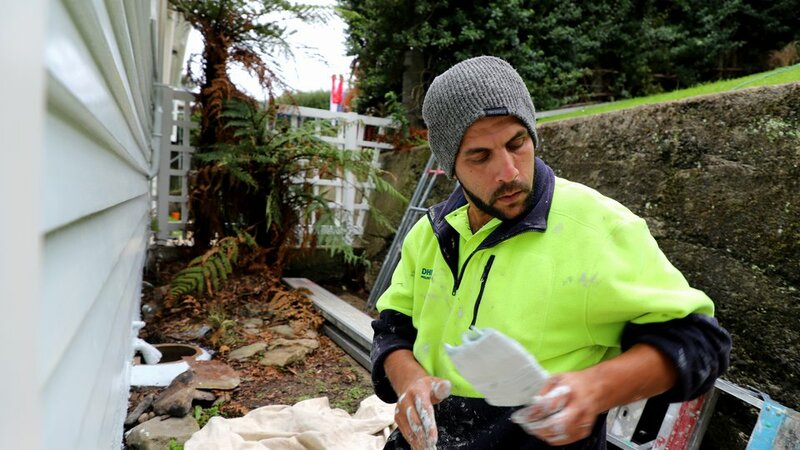 Mohammad’s day could entail a whole range of work, from water blasting the outside of a home, to sanding down windows and doors, to plastering to painting. It isn’t just the varied work he enjoys though, the team environment is also a big plus. Although Mohammad spoke little English when he arrived, his language skills have improved dramatically over the past 18 months and he’s even picked up some of the Kiwi slang that’s frequently thrown around by colleagues. Employment has been an important part of the resettlement process for Mohammad and his job at DHMC has made it complete.